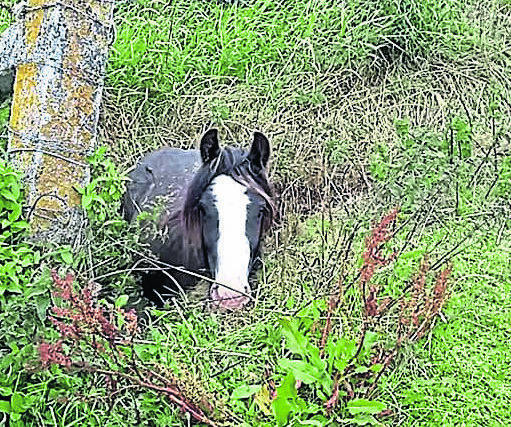 Enya the horse fell into a ditch and had to be rescued. They say true friends stick by you through thick and thin – and it seems that applies to thick mud as well. 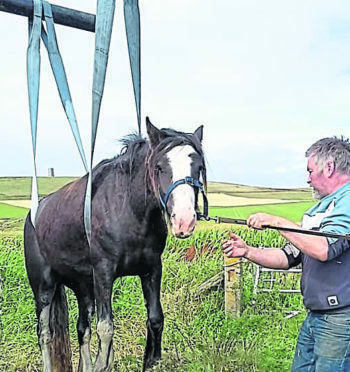 Enya the horse was well and truly trapped in a ditch for nine before its humans were able to rescue it. But throughout the ordeal, Enya’s stablemate Cally was by her side. Traditional cob Enya got stuck in a burn at Birsay on Orkney. Owner Toni Greene said the two-year-old had probably been firmly wedged for six hours before a three-hour operation to free her earlier this week. She had to be hoisted out with the help of neighbours Marty Hay and Jimmy Rich. But during all the ordeal, Enya’s companion Cally stayed by her side. “She never left her for a minute,” said Ms Greene, who runs Marwick Kennels and Cattery locally. “Enya had plenty of food, she was eating the grass and obviously plenty of water. “But she couldn’t move – she was well and truly stuck. I lost her mother to grass sickness last year and I didn’t want to lose her too. Last month, the fire service rescued a cow which had fallen into a gully in Skye. The crew from Broadford were paged to assist the SSPCA in the Elgol area, after the cow had been spotted 20 foot down the gully bleeding. Firefighters managed to free the cow. Skye had previously proved a dangerous place for cattle, too. In March, firefighters worked with local crofters to rescue a cow that became stuck in mud in Portree. A rope rescue team lifted the animal out of a bog and left it in the care of a vet. Also in July, a cocker spaniel was saved by a lifeboat crew after becoming stuck at the foot of a cliff in Shetland. The RNLI Aith lifeboat, the Charles Lidbury, was called out after the alarm was raised about the stricken dog, called Blue. With some help from the dog’s owners, the crew managed to locate him at the bottom of the cliffs.